Are the words “New Owners” sprawled across the letterboard enough to entice patrons to give your newly-acquired restaurant a second chance, even if the previous owners made some mistakes that led locals to swear off the joint completely? You can certainly hope so, but for many diners-out, one bad experience at a location is enough for them to avoid a place forever, even if the business has passed into new hands since. That’s why your due diligence plan as a prospective buyer should include a thorough investigation of the existing business’s reputation with the community before you buy. One of the most reliable ways to assess an eatery’s reputation is to ask the folks who are most familiar with it – the owners of surrounding businesses and people that live and work nearby. Visit the businesses in the vicinity to ask employees and customers what they think about the restaurant. Do they eat there regularly and would they recommend it? If a common response is, “Yeah, I ate there… once,” then you may have trouble convincing people to eat there again, even after you solve the problems that drove patrons away. This one’s obvious, but another way to vet the restaurant you’re considering buying is to eat there yourself. Consider going during one of the establishment’s busy periods to see how the staff handles the stress of running the restaurant at its capacity. A few repeat visits will help you get a feel for how the place operates and help you identify what improvements are in order with the service or food. Getting to know the restaurant as it is can help you start formulating a game plan of what to do if and when you decide to buy. Diners love to rave on social media about meals they love and deride establishments for offering poor service and food. Before you commit to buying your restaurant, see what former guests have said about the place. A few negative reviews here and there shouldn’t alarm you, but a restaurant that’s consistently rated poorly by diners may signal that you’ll have your work cut out for you in improving the restaurant’s standing within the community if you do choose to close the deal. 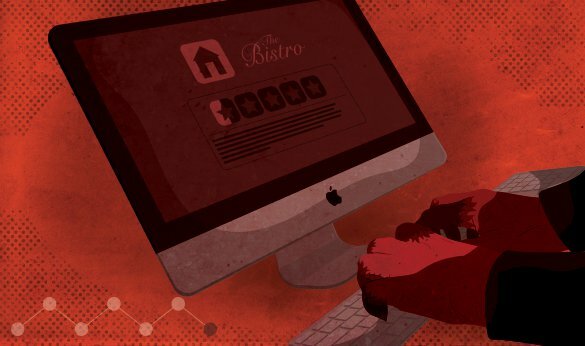 Many states keep public databases of restaurant health scores and violations. Looking for signs of repeat violations can help you understand whether previous owners have let their guard down, which in turn can help you understand how they may appear to the community. Correcting chronic health score violations is a good starting point for getting the establishment back on the right track when you take over ownership. The same way you might run background checks on potential hires, consider running one on the person you’re buying your restaurant from. Doing so can uncover criminal charges and other red flags that may signal that the owner hasn’t handled the business responsibly. High-profile cases may have sullied the owner’s reputation with the community and the business’s by extension. Being aware of any litigation associated with the restaurant can help you avoid inheriting dangerous liabilities if the restaurant becomes yours. In addition to running reports on individuals, you may consider taking advantage of services offered by firms like Experian and Dun and Bradstreet that offer business information reports containing financial information, profitability reports, payment histories, and public records.